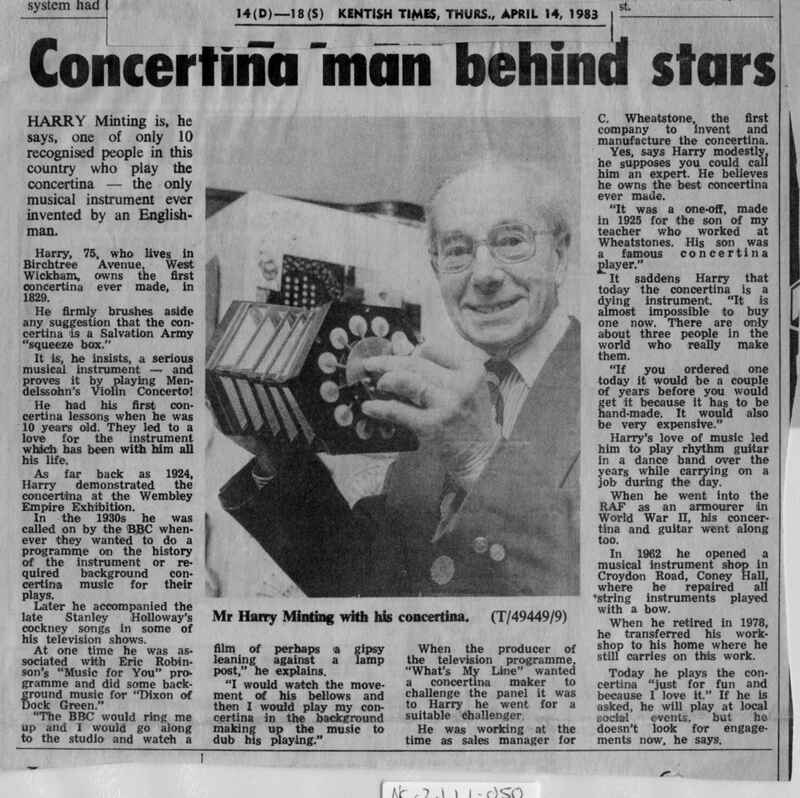 Full Description: A press cutting from The Kentish Times of 14th April 1983, detailing Harry Minting's career as a player, TV performer, and his time as Wheatstone's manager. He says "the concertina is a dying instrument - it is almost impossible to buy one now". The photo is Harry playing his fairly early open-pallet Wheatstone, later to be sold at Phillips Auctions, and now in the Chambers Collection, Co Clare.